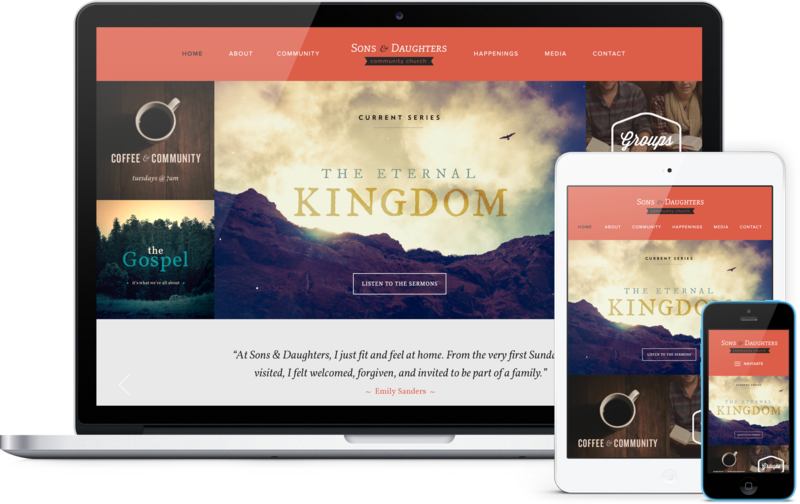 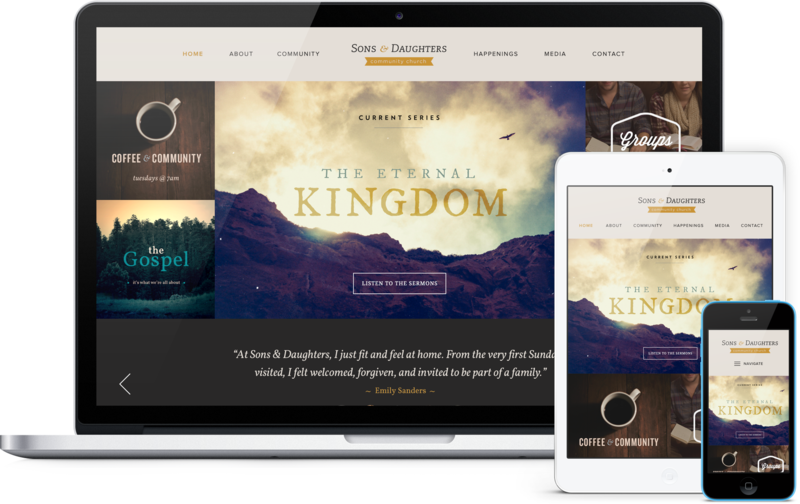 Apostle is a super unique, bold, clean, and balanced church website design that features what people are saying to encourage visitors. 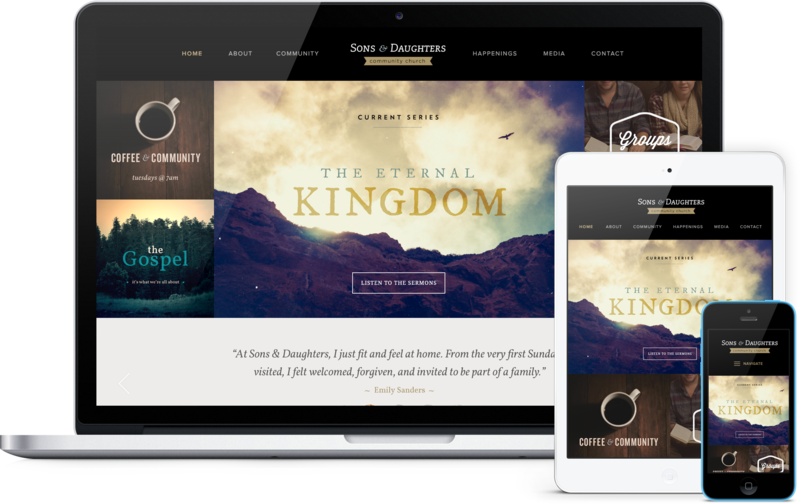 Apostle features a graphically unique website layout, featuring an image rotator surrounded by four quick link graphics, member testimonials, and an introduction to the church, with news (blog posts) and events. The scrolling testimonials, and "Get To Know Us" sections enable you to let your church website be the front door to your ministry, giving visitors a glimpse into who you are as a church.